Safety and efficiency for compact and mid-range cars. The flexible silica compound allows a strong connection between tyre and surface so that a high degree of traction can be guaranteed on wet and dry surfaces. Grip edges and incisions in the outside tyre shoulder provide additional traction, especially in wet curves. 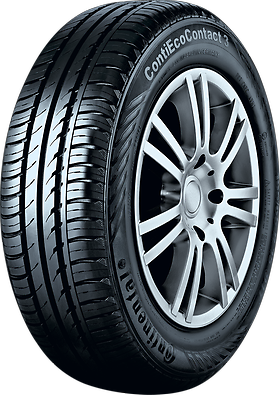 A bionic contour minimises tread pattern deformation when the tyre is rolling, therefore lowering fuel consumption and giving the tyre a longer service life. In its summer tyre test 2008 (05/08), the ADACmotorwelt testet various summer tyres of the size 175/65 R14 T.
Evaluation: " Very balanced with best ratings in wet and noise, also good on dry roads." In its summer tyre test 2008 (03/08), Stiftung Warentest testet various summer tyres of the size 175/65 R14 T.
Evaluation: " Well balanced performance on dry and wet roads."